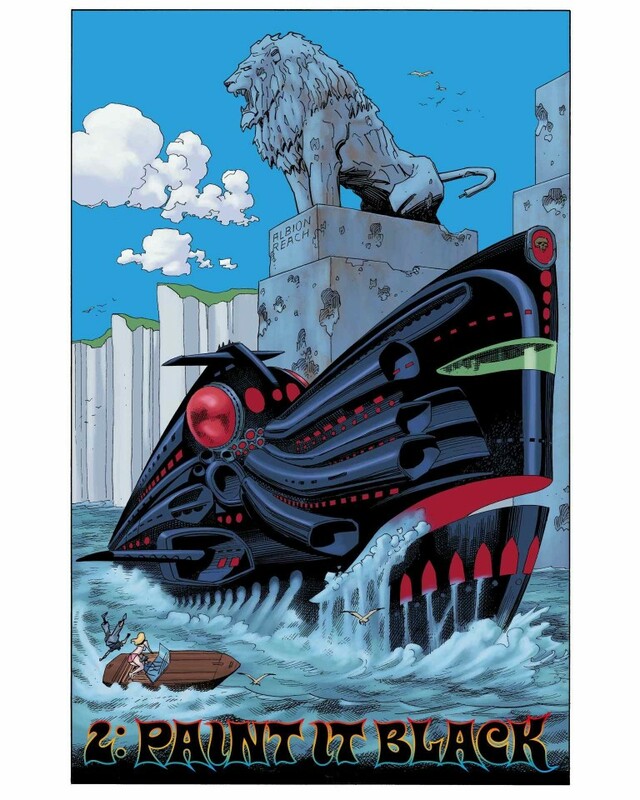 The League of Extraordinary Gentlemen: Century is an epic spanning almost a hundred years. Divided into three chapters, this monumental tale takes place in three distinct eras, building to an apocalyptic conclusion occurring in our own current 21st century. 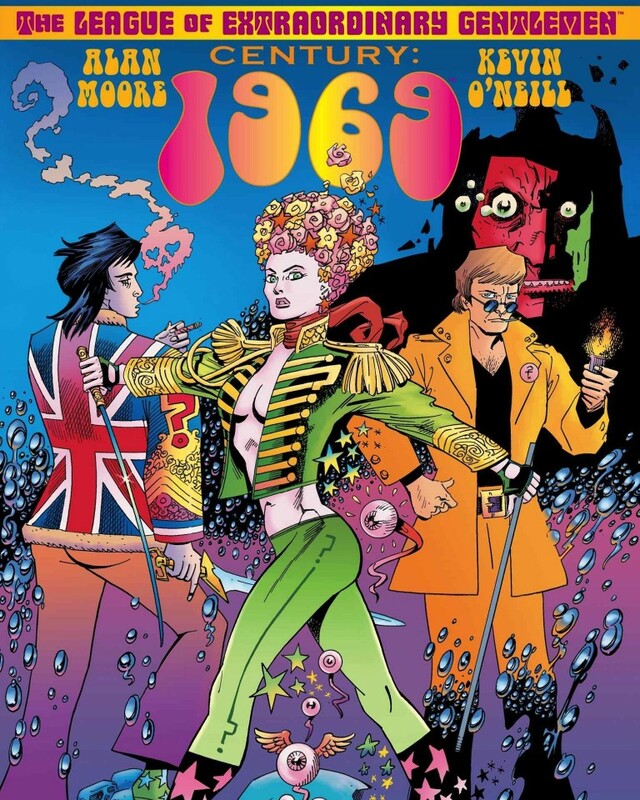 Book Two takes place almost 60 years after Book One, in the psychedelic daze of swinging London during 1969, a place where Tadukic Acid Diethylamide 26 is the drug of choice, and where different underworlds are starting to overlap dangerously to an accompaniment of sit-ins and sitars. 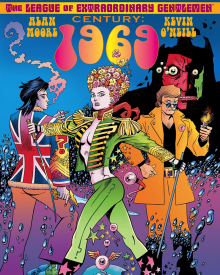 The vicious gangster bosses of London’s East End find themselves brought into contact with a counter-culture underground of mystical and medicated flower children, or amoral pop stars on the edge of psychological disintegration and developing a taste for Satanism. Alerted to a threat concerning the same magic order that she and her colleagues were investigating during 1910, a thoroughly modern Mina Murray and her dwindling league of comrades attempt to navigate the perilous rapids of London’s hippy and criminal subculture, as well as the twilight world of its occultists. Starting to buckle from the pressures of the 20th century and the weight of their own endless lives, Mina and her companions must nevertheless prevent the making of a Moonchild that might well turn out to be the Antichrist.